Mr. Ed currently teaches Social Studies, English, and Theatre. He is a graduate of Florida Atlantic University where he obtained a BA in Anthropology and Social Studies with a certificate in Ethnic Studies. Ed has used his degree to take part in archaeological digs and work at local musuems. In addition, he is also a local actor having appeared on screen with Eva Longorria and Mr. T. Mr. Ed uses his various talents and experiences to provide an enriching and entertaining classroom environment for his students and can be frequently found after-school engaging members of the Student Gamer Club. 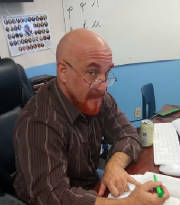 Mr. Leonardo completed the Principles of Education/Teacher Assisting program at Sheridan Technical College in 2014 and then received a Professional Certificate in Teaching form Broward College, (EPI). He obtained a Bachelor of Science in Mechanical Engineering in Bogota, Columbia as well. 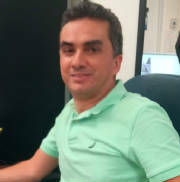 In addtion, he speaks English and Spanish fluently and is knowledgable with Apex Learning Virtual School. Mr. Perez has been teaching locally since he completed his studies at Broward including most recently at Career Prep Academic, Miami-Dade County, FL. Adam is native to South Florida but has traveled around the globe, refining his skills and abilities, helping and sharing his experiences with others since his graduation from Academic High School in 2002. In 2008 Adam graduated from Florida Atlantic University with a Bachelors Degree in Intercultural Communications and Interdsciplinary Studies. He also received a Minor in Sociology and Anthropology with Certificates in Womens Studies and Minority Studies. Adam has, and continues to, apply his studies to his life and his life with his studies, always compelled to approach his experiences with compassion, curiosity, and an open mind. Adam has been involved in the growth of Academic High School since he first graduated, taking part in teaching Modern Music, then Administrative work, and now taking part in the schools rapidly growing ESL program, where he intends to apply his knowledge of international travel and wealth of direct work experiences with different cultures and languages. Adam speaks American Sign Language, is very active in building bridges between cultures, and passionate about art and music. He looks forward to continue his career at Academic High School.